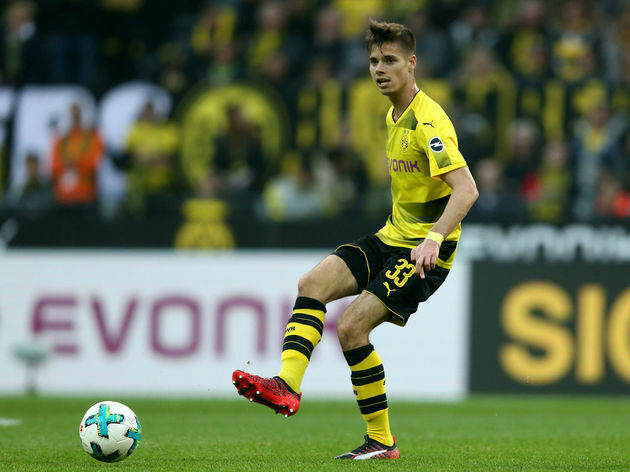 ​Barcelona and Manchester City have been tipped to go head to head in pursuit of talented Borussia Dortmund midfielder Julian Weigl, which may come as no surprise given that he is a player media reports have dubbed the ‘new Sergio Busquets’. According to AS, Barcelona intend to strengthen the base of their midfield and see 22-year-old Weigl as the perfect fit to ensure that Busquets can be rested and the team not suffer. In that sense, he would offer better relief than Andre Gomes or Sergi Roberto. Barça are said to have been following the German international since last season and that there is excitement at Camp Nou because few others around Europe are seen to have his degree of fluency on the field. But the Catalan giants are expected to face stiff competition from a former son in Pep Guardiola, who has apparently urged Manchester City director of football Txiki Begiristain, another former Barça hero, to bid for Weigl at the Etihad Stadium. Guardiola, AS declares, is ‘in love’ with Weigl as a player and wants him in Manchester. It is also noted that while Barça can rival any club in the world when it comes to offering an attractive place to play football, they cannot compete with City on a financial level. Were a move to City to materialise, Weigl would strengthen the existing central midfield unit of Fernandinho and Ilkay Gundogan. It would given Kevin de Bruyne a freer role, and would likely coincide with the departure of veteran star Yaya Toure, who will turn 35 years of age in May.